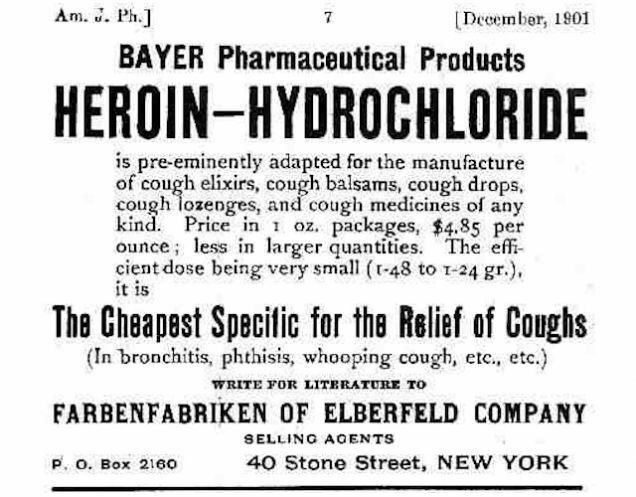 Medicine has come a long, long way throughout the years. 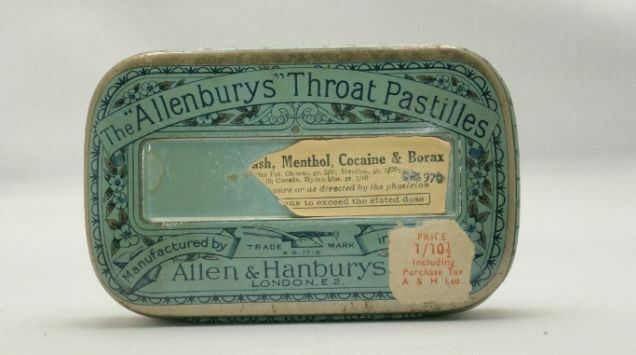 Hard drugs like cocaine were used for medicinal purposes decades ago for even the smallest of things, like headaches. 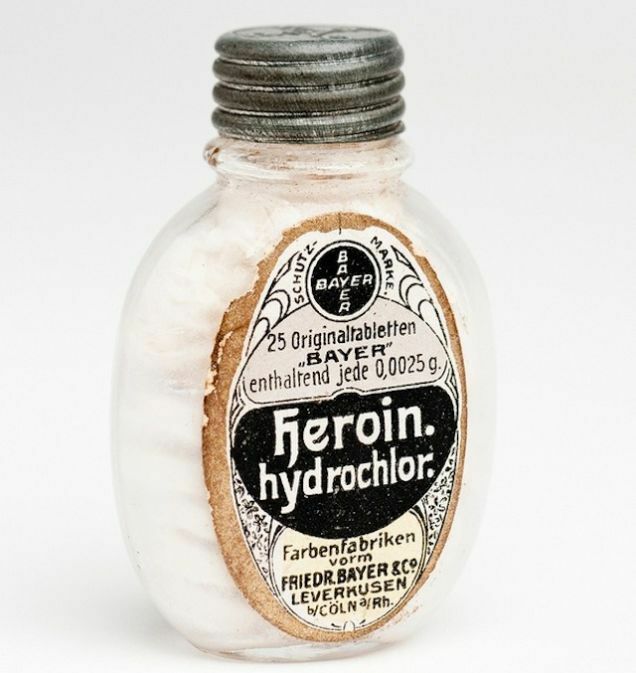 The series of photos below takes you through historical, vintage and illegal drug ads that were used from the 19th and 20th centuries. 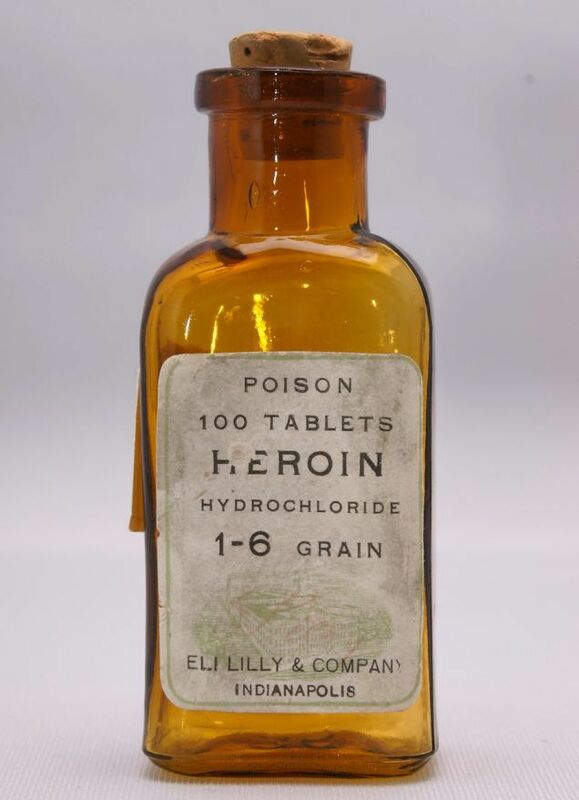 It’s shocking to know what some of the drugs were used for and who they were used on. 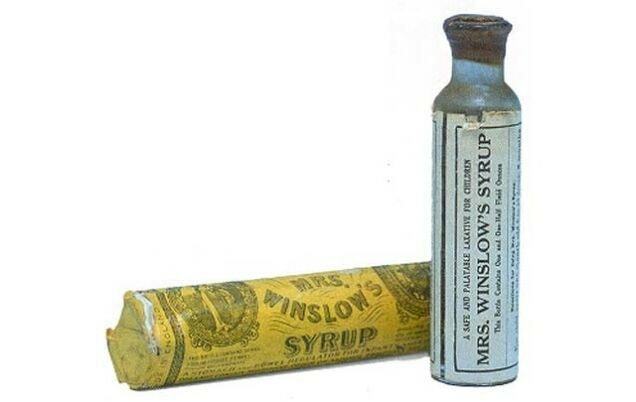 Mrs. Winslow’s soothing syrup was bottled in Bangor, Maine, in 1849 and had what most people would be appalled by today…morphine. 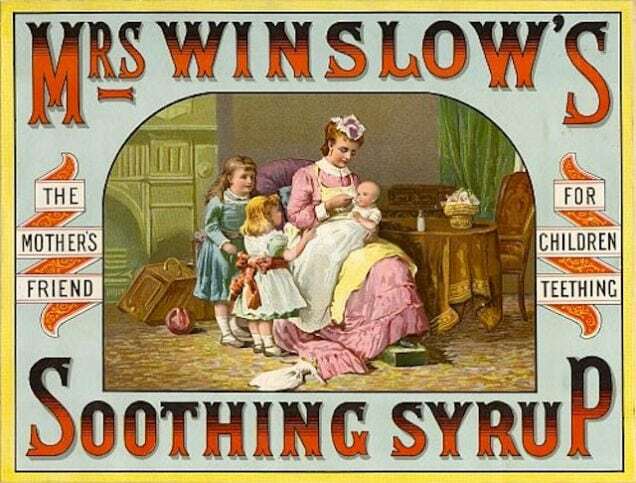 Yup — they gave babies morphine back in the day to sooth their teething pains. 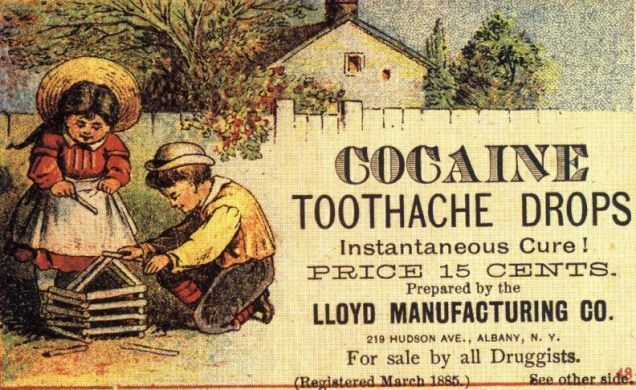 People would flip nowadays if we were still treating toothaches with cocaine. 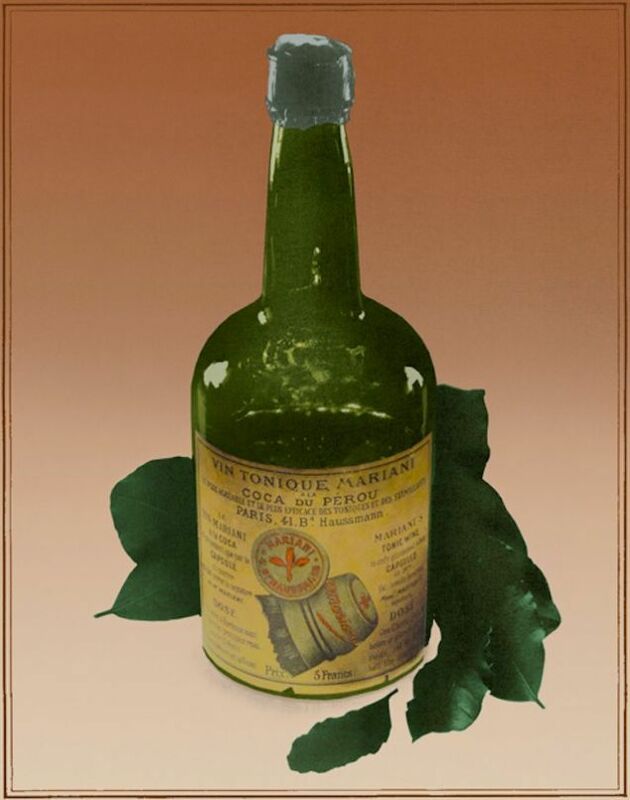 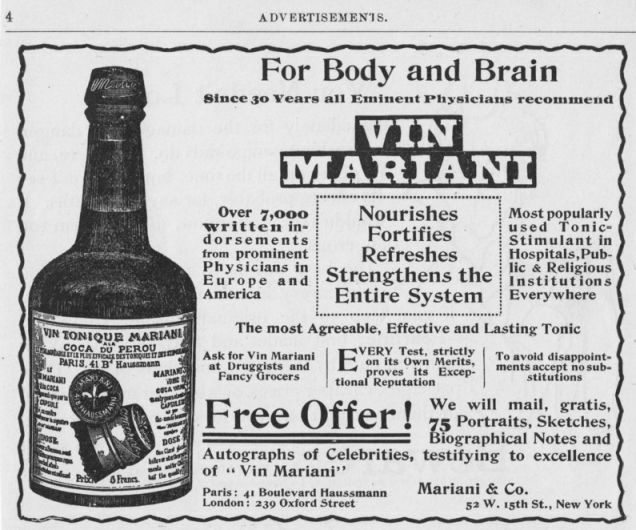 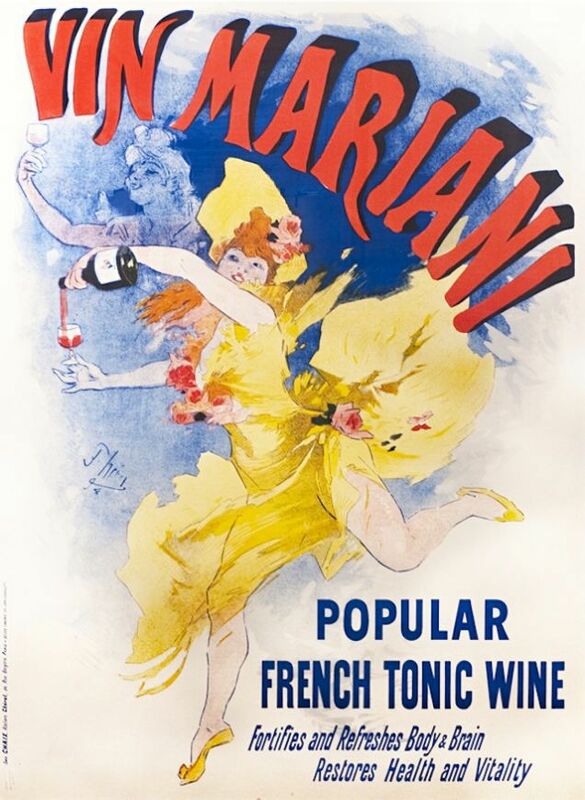 This was produced until 1913 until they finally noticed it was extremely addictive. 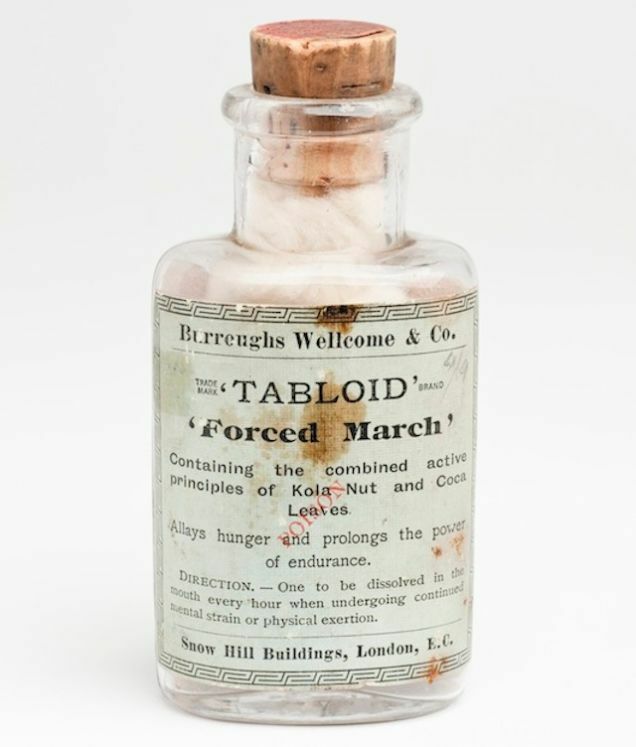 It was used similarly to the way morphine was. 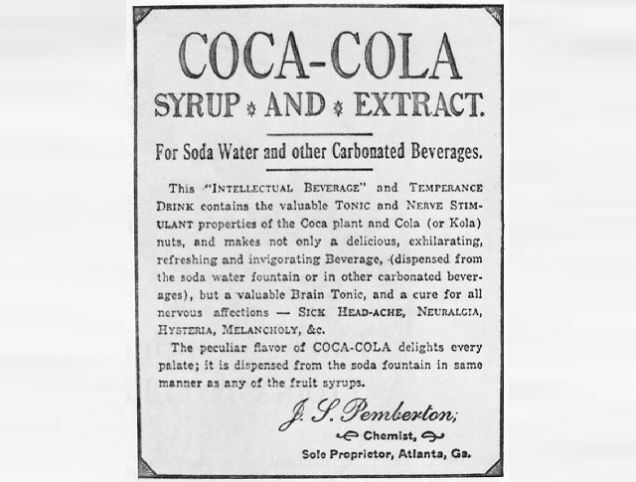 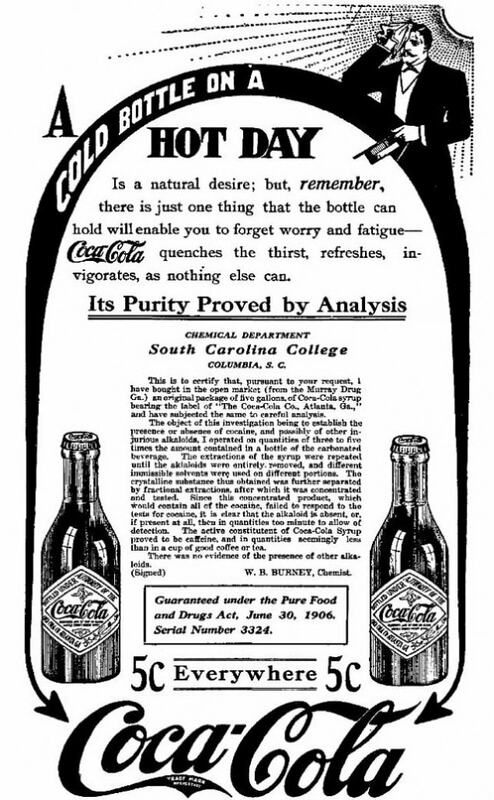 Invented by John Pemberton as a medicine in 1886, the famous soft-drink had approximately 9 milligrams of cocaine per glass until 1904. 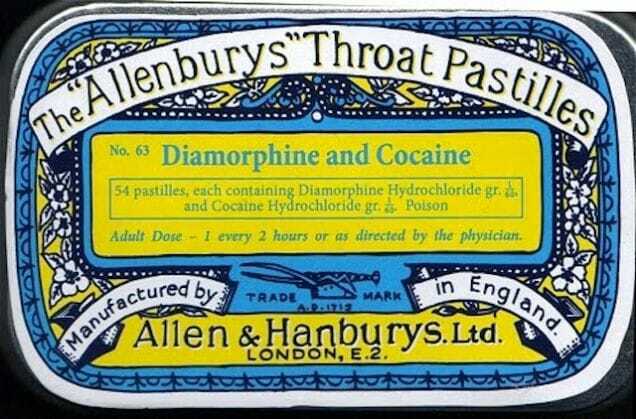 Cocaine tablets that look like Tums taken by Ernest Shackleton in 1909 during his expedition to Antarctica. 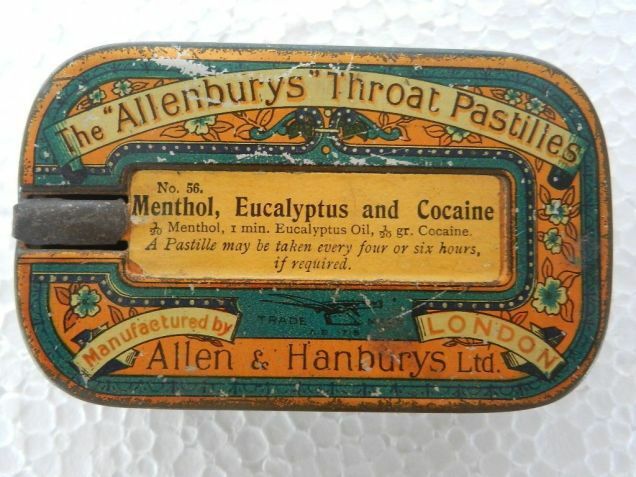 Also used in World War I. 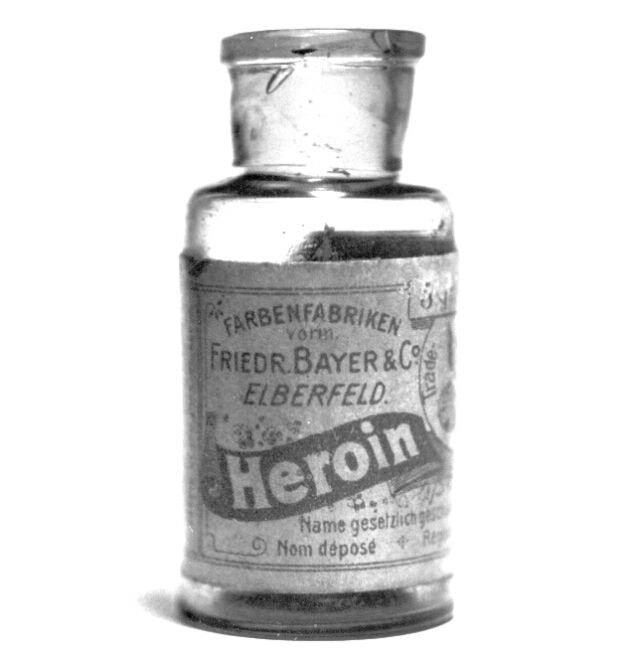 As if people didn’t have enough heroin already. 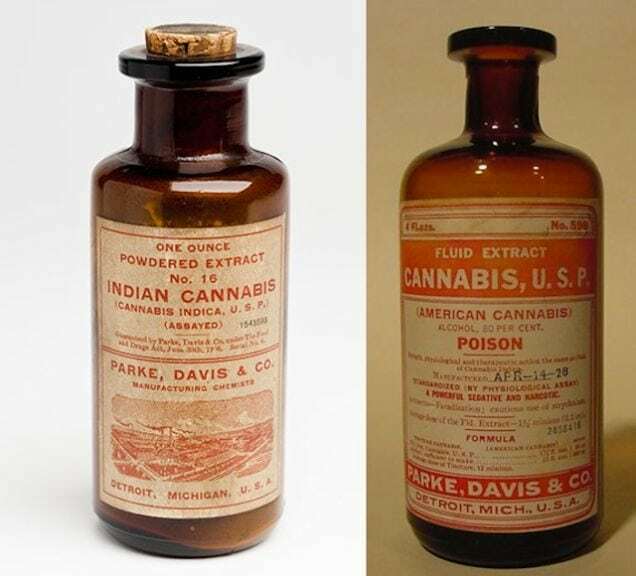 Indian and American Cannabis was used for pain relief, sleeplessness, and loss of appetite but doubled as a tonic for coughing. 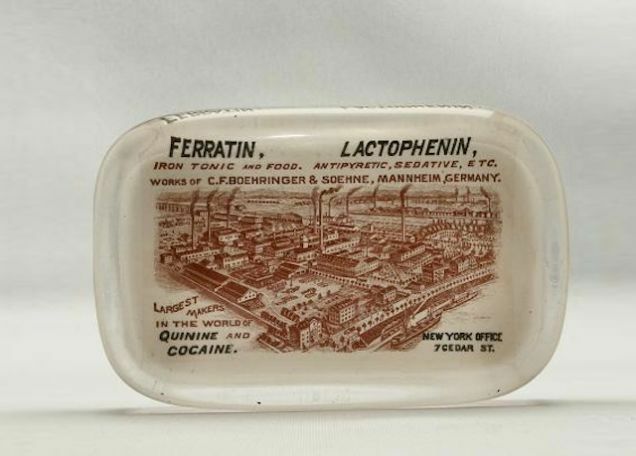 This sedative was a “special” mix of cocaine and quinine. 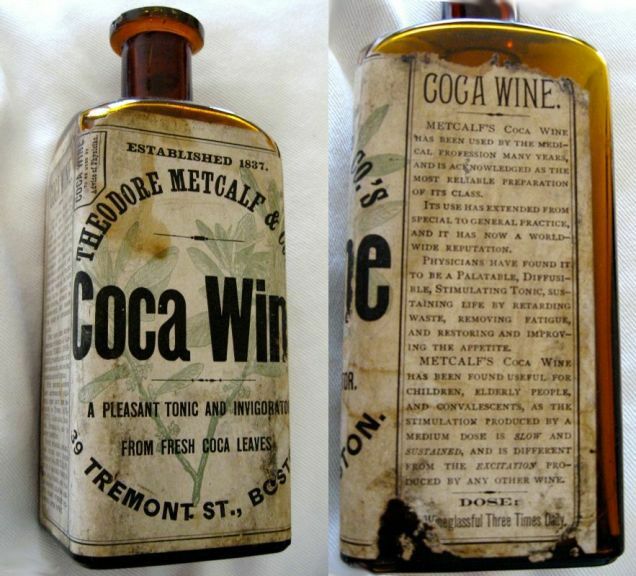 This special wine was infused with 6 – 7.2. milligrams of cocaine per fluid ounce. 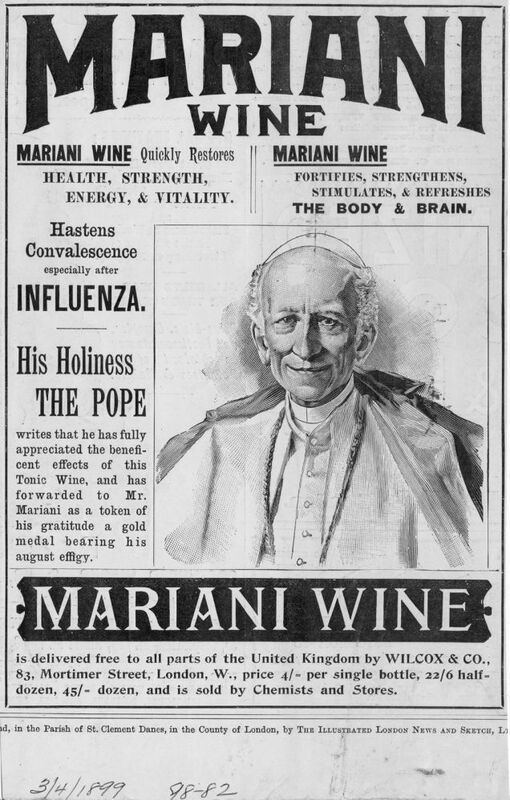 It was a preferred choice among important figures such as Queen Victoria, Pope Leo XIII, and Thomas Edison. 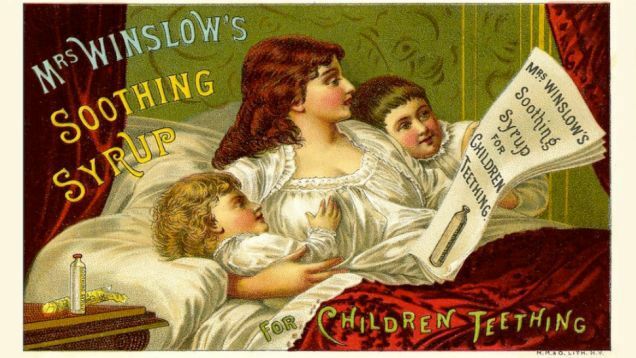 If you thought these were crazy, check out these vintage ads from the past that would be banned today.